An innovative slide valve developed for Baker Perkins’ Cook Master™ cereal cookers improves performance and hygiene, reduces maintenance and enhances safety. It is available as an upgrade to existing cookers, and fitted as standard to all new machines. 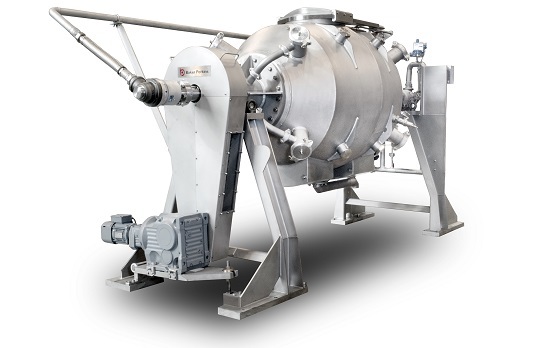 The Cook Master™ rotary steam cooker is a high-output batch machine that processes milled or whole grain cereals including wheat, corn, bran and rice. A new air-assisted floating seal arrangement provides a secure barrier against steam leakage, ensuring pressure in the vessel is maintained during cooking. The seal also wipes the underside of the valve clean as it retracts, ensuring continual steam-tight operation to minimize energy cost and maximize hygiene and safety. Product contact areas on the slide valve have been reduced and operator access improved for easier cleaning - up to allergen standards if required. The seal can be changed by a single operator without the use of tools in less than 15 minutes. 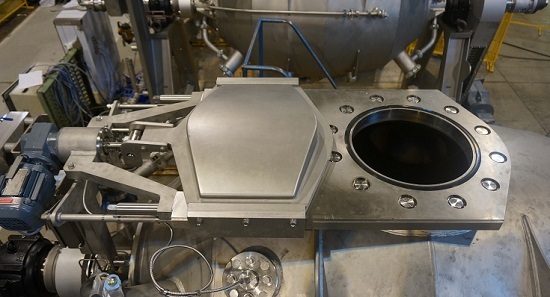 For further detail and video of the upgraded slide valve, please click here. The upgraded Cook Master™ also features an enhanced control system that includes a new sensor mounted on the cooker shell that measures pressure directly in the cooker rather than in the connecting pipework. This ensures that the valve can never be opened while the cooker is pressurized. The control system provides full process visualization, allowing operators to see every working parameter at a glance. There is recipe recall for absolute repeatability, as well as alarm management and history, historical trending functions, and connection to a plant-wide SCADA or ERP system. The Cook Master™ is used world-wide to produce traditional high-quality flaked and shredded cereals, making many leading brands. Baker Perkins provides complete rotary cooking and twin–screw extrusion systems for a wide variety of breakfast cereals: the unique Cereal Master™ concept allows a system to be expanded at any time. Cereal Master™ systems comprise standard process modules, combined in different ways to make different products, which can be extended with the addition of extra modules to change or widen a product range as the customer’s business expands.